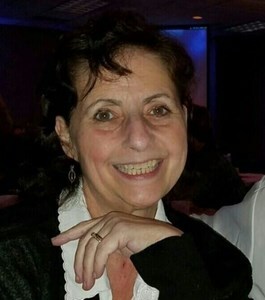 Melody Ann (Cherney) Jerabek, 65, of Denmark, entered into heaven on January 31, 2019 after battling a year long illness. She was born on April 12, 1954 to the late Adrian and Joyce (Brandt) Cherney. She was a graduate of Denmark High School and attended UWGB. She met her love, William Jerabek one night while enjoying a polka band at Eddie Whipps in the Town of Eaton, WI., where she was a waitress. They married 45 years ago, had 3 children, and have lived in the same farmhouse for the past 40 years. Melody had a vivacious smile to share with everyone she met. Her warm hugs are remembered by all who were embraced by them. This beautiful soul was not just an amazing mother to her children and doting grandma to her grandchildren, but also, to many others who also called her ‘Mom & Grandma.’ Though she didn’t have a sister, she was surrounded by ‘Soul Sisters’ who were always around her, especially during the last year, in her greatest time of need. To her, everyone mattered, and her personal goal was to make everyone feel special. She managed the family insulation business, was a chiropractic secretary, delivered babies, and gave amazing massages. Aside from work, she loved to garden, volunteered for her children’s school activities, was a mentor to all, threw amazing parties & weddings, created women’s weekend getaways for healing and meditation, and together with friends, created Brown County’s first Renaissance Faire. Melody is survived by her loving husband, William Douglas Jerabek. 3 children: Jason J. Jerabek, Sara Zacek and Molly Arneson (Aaron). 6 grandchildren: John 'Jack', Hailey, Laney, Lincoln, Sam, and Fox. Her brother, Wencel Cherney (Lori). She was preceded in death by her father-in-law and mother-in-law: William and Dorothy Jerabek. We want to extend a special thank you to the staff at Woodside Lutheran Home of Ashwaubenon for creating a peaceful place for her to heal, meditate, pray, and lastly, make her transition into heaven. In lieu of flowers, please consider donating (in memory of Melody Jerabek) to the Denmark High School StingCancer Awareness Group, 450 N. Wall Street, Denmark, WI 54208 who blessed our family with money, gift cards, fresh baked cookies and kind messages in 2018 to help lighten the burden during the worst of times. This is an amazing program at the High School that will help many other people with cancer. Let the giving continue…..
Add your memories to the guest book of Melody Jerabek. My sympathies to Melody’s family. We were classmates at Denmark and I was blessed to spend time chatting with her at our last reunion. I so admired her positive attitude that she kept until her last breath. She was truly, special , we had lots of fun working at Eves Supper club. We became forever friends. You loved her right away. I will miss her very much. Now she will always be taking care of all of us. god Bless her family.